Support the Friends when you shop at Amazon or Kroger. With just a few simple steps, you can help the Friends of the Carrollton Public Library while you shop. 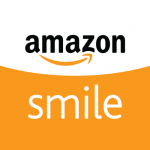 When you shop at Amazon, start at our AmazonSmile page and Amazon will donate to the Friends! Amazon donates 0.5% of the price of your eligible AmazonSmile purchases to support our organization. Plus AmazonSmile is the same Amazon you know. Same products, same prices, same service. Help us raise funds for library programs every time you buy groceries as a Kroger Plus Member. With Kroger Community Rewards, Kroger will donate a portion of your purchase price to the Friends of the Carrollton Public Library. Go to Kroger Community Rewards and sign in if you already have an account, or click “Create an account” and follow instructions to create an online account. After signing in, click on “My Account”, then select “Account Settings”. Scroll down to see the Community Rewards section on the bottom right, and click on “Edit”. Enter Organization Number 91255, click on “Search”, then select Friends of the Carrollton Public Library and click “Save”. Your charity selection expires every August, so you must re-select our organization each year. You will receive a notice from Kroger when it’s time. That’s it! Every time you shop with your Kroger Plus card, Kroger will donate to Friends of the Carrollton Public Library.